Home » Java » Enterprise Java » Java EE vs Java SE: Has Oracle Given up on Enterprise Software? Alex is an engineer working with OverOps on a mission to help Java and Scala developers solve bugs in production and rid the world of buggy software. Passionate about all things tech, he is also the co-founder & lead of GDG Haifa, a local developer group. Alex holds a B.Sc from the Technion, Israel's Institute of Technology. Java Enterprise Edition is one the biggest sources for confusion in the worldwide Java community. Just like the difference between Star Wars and Star Trek to anyone who “The Force Awakens” was the first movie they’ve seen in the franchise. The weird thing is that even if you’re experienced with developing for EE, the complete picture is often still fuzzy. 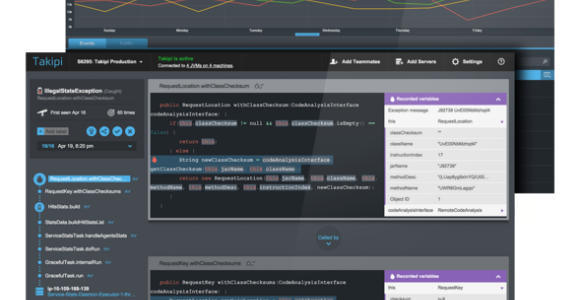 In this post, we’re taking in all recent news and taking a closer look at Java EE to clear out the fog with the help of Werner Keil from the Java EE 8 expert group, and Reza Rahman, former Oracle Java EE evangelist and founder of the Java EE guardians. Exactly how is Java EE different from Java SE? To kick off, we need to make an important distinction. Java EE is built on top of Java SE. Unlike Java SE, the Enterprise Edition of Java is officially “just” a specification, with actual implementations available from Oracle (like the Glassfish reference implementation) and other vendors like RedHat and IBM. While SE’s APIs provide the standard core capabilities of the Java language (java. * packages), EE’s APIs (javax. *) provide extensions to Java that are super useful for developing large-scale applications. With that said, there can be exceptions which cause additional confusion. Swing for instance started off as an extension, and ended up as part of core Java. It’s not a bullet proof concept. On a side note, these type of licensing issues eventually caused the Apache Software Foundation to withdraw its membership from the Java Community Process executive committee back in 2010. So what does the EE spec actually include? In practice, Java EE is an umbrella specification for enterprise Java extensions. At its core, it includes independent capabilities like Enterprise Java Beans (EJBs), the Java Servlet, Rest API (JAX-RS), Contexts and Dependency Injection (CDI), and many more. Every new release includes upgrades to individual technologies, together with new capabilities. For example, Java EE 8 is expected to include the Servlet 4.0 spec with HTTP 2.0 support. Since Java is backwards compatible, you can also run older EE versions on top of new SE versions and enjoy the new language features. For example, a Java EE 7 compatible implementation on top of Java SE 8 for lambdas and streams, so you don’t need to wait for the Java EE 8 to use it. A main feature of Java EE is the Servlet spec. Currently at v3.1, with v4.0 under development. One of its most popular implementations come from TomEE, which is an EE compatible version of Tomcat. In contrary to popular belief, Java EE is much lighter than it seems. Properties like artifact size, build time, and deployment time can be pretty minimal. Lightweight is a design decision, and other frameworks who are considered to be lightweight can become… heavyweight. A recurring issue for distributed production environments, and especially with microservice architectures, is understanding what’s happening in production. While not specific to EE, an issue that starts with one service can cause trouble elsewhere and then you’re left alone digging through logs, trying to find clues that might not even be there. At Takipi we’re taking a new approach to solve these kind of problems. Anytime an exception, log error or warning happens, we present all the needed data to get down to its root cause. This includes all the related source code and state throughout the error’s stack trace, see what’s it all about right here. Why does it usually take 2 years for EE to be released after SE? What’s the Current Status of Java EE 8? To shed some more light on the new community, we’ve got in touch with Reza Rahman for further details. Looking at the broader ecosystem, we see other solutions moving on a faster in different vectors. For instance, the servlet container Jetty didn’t need to wait for Servlet 4.0 specs to be finalized and already has HTTP 2.0 support. Spring in general competes with Java EE, benefiting from previous specs. Thanks again to Werner Keil and Reza Rahman for sharing their insights with us for the post! We’d be glad to see your comments and learn about your personal experience with Java EE. Werner Keil is DevOps Build Manager at a leading automotive vendor after having worked at a large Swiss insurance company among other companies. Besides working for major companies, he runs his own creative and talent agency Creative Arts & Technologies and in his spare time, runs and supports open-source projects and an Individual Member of the Java Community Process Executive Committee. Reza Rahman is part of the core of the Java EE Guardians and has been involved in Java EE for a very long time – both inside and outside Oracle. He’s a long time consultant now working at CapTech Consulting, and have been an official Java technologist at Oracle. A frequent speaker, author, as well as a JavaOne RockStar Speaker award recipient. He’s also been a member of the Java EE, EJB and JMS expert groups over the years. 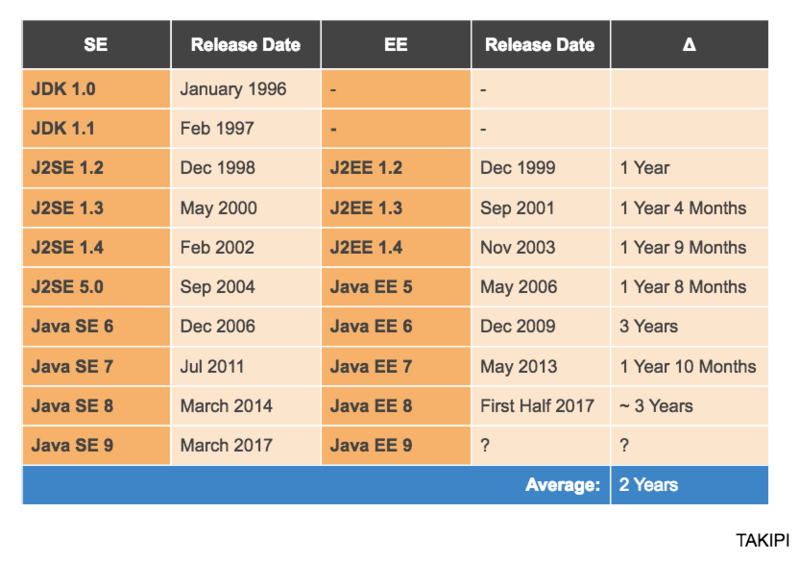 Reference: Java EE vs Java SE: Has Oracle Given up on Enterprise Software? from our JCG partner Alex Zhitnisky at the Takipi blog.